Everyone needs an extra set of pillows, right? I made this set up for my parents for Christmas. I went with a simple patchwork design, using lots of Joel Dewberry’s Modern Meadow fabrics along with some Kei honeycomb and solids. 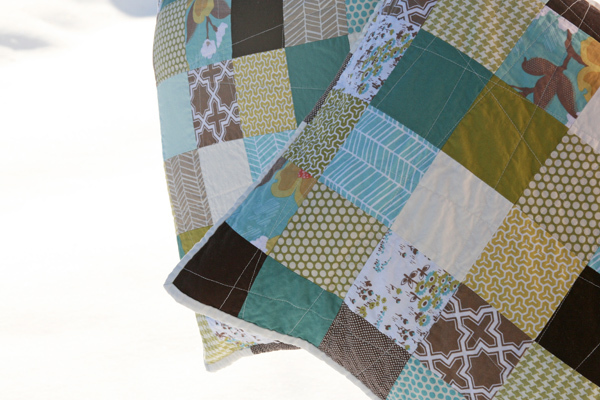 The fronts are quilted with random quilting lines, and they’re backed with one of my favorite prints from the Modern Meadow line. My favorite part might be the white binding. I love how the addition of the white brightened up the whole look of the pillows. And I’m pleased to say that they were well received! 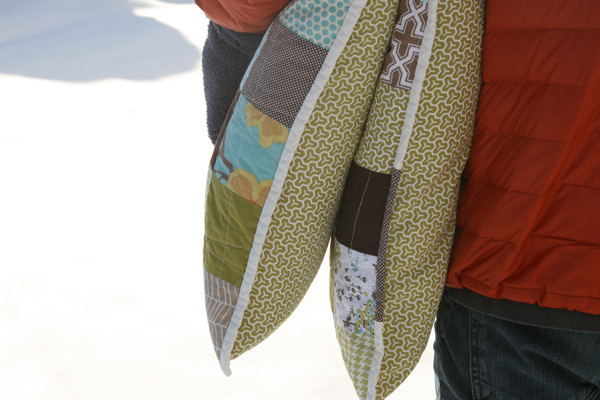 This entry was posted in baby, Household Goods and tagged handmade, Joel Dewberry, modern meadow, Pillows, quilted. Bookmark the permalink. That’s actually a great picture! 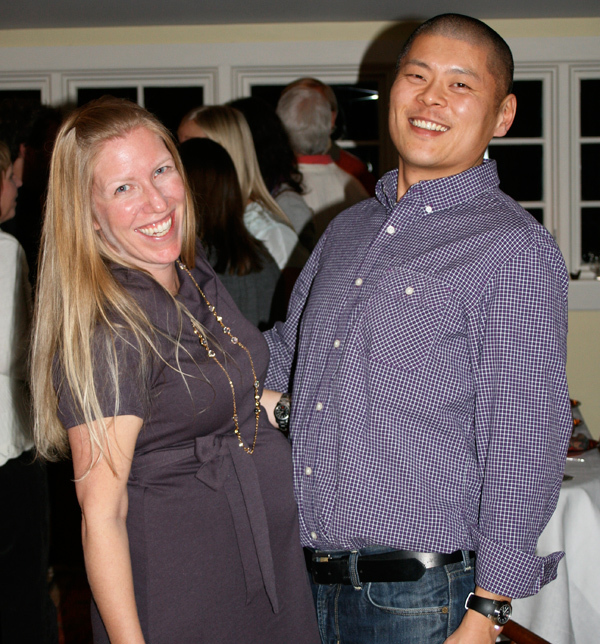 You both look so happy and I love how it looks like you’re doing a belly bump! the pillows are lovely, but …. you two …. so cute together and ya’ll look so happy … merry christmas …. I agree – the picture is perfect! Happy Happy! You look great! It’s a cliche but true – you are glowing! Love peeking in on what you’re making. Lovely lovely stuff! beautiful pillows and adorable belly! So how is the binding applied to the pillow?? Would it be like piping? Please share if you have time. 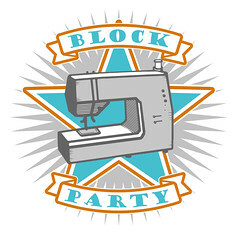 The binding on these pillows is attached just like quilt binding – 2 1/2″ binding ironed in half, sewn to the front and then handsewn to the backing. Hope that helps! I think that’s a great picture of the three of you! 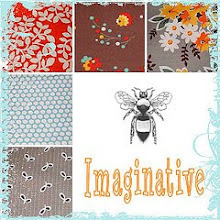 Great pillows, beautiful fabrics! Joel Dewberry is one of my favs! The pillows are lovely! 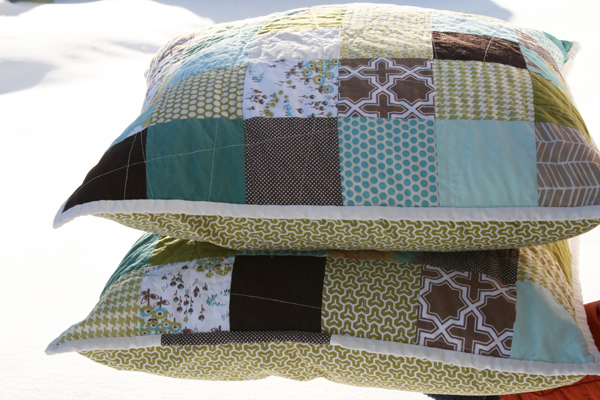 Snow makes such a great backdrop for your quilty pics – I wish it snowed where I live! You are both glowing! Great picture! I love the pillows. That’s something I have to try. I really, really like the print on the back too. Great pillows! And a lovely photo of the growing family! Love the pillows! Modern Meadow is my favorite line ever I think. The two of you look so cute in that picture! Wonderful gift for the parents! I think my mom would love to receive something like this from me. Definitely going to remember this next time I need a gift for them. Great colors and great random quilting. BTW, love that cute pic of you two! What a great idea to bind the edges of the pillow! I’ve got a pillow top waiting to be quilted that I’m going to try this out on!! Well I think it’s a lovelty photo, I love a natural photo and you both look so happy. great great great pillows. love the quilting and the white binding like you said. Totally awesome pic, you two are so cute! Love the pillows But that BUMP looks fabulous… such a happy snap. I agree with all the previous comments: the pillows are so lovely (what a great idea, i should sew some for my parents,too!) and you two looks so happy, all the best for you three in 2011! i adore baby-bumps! congrats to you and your hubs! great pillows and the two of you are adorable! Love these pillows! This color way is my favorite and the solids you incorporated are perfect! I love that smokey blue color in your pillows/quilts…what is it? Thanks Ashley!